Silay City is known for it's ancestral houses, thirty one (31) of which have been listed and certified by the National Historical Institute and the National Commission for Culture and Arts as heritage houses, although to this date only 8 have been given markers mainly due to lack of funds. What makes Silay's ancestral homes different from many others is the fact that all these are well preserved and livable. Most in fact are still occupied by families of the original owners and are not open to public viewing or a few have been converted to offices, restaurants etc. My Lolo's house is one such ancestral home. The Angel Araneta Ledesma house was built in the 1930's (exact date was anytime between 1934-1937) using huge logs from my Lolo's lumber yard business, in the empty lot facing Plaridel St. behind my Lola's parental home (which faced 5 de Noviembre St). It had a very good location being right beside the City Hall, Police and Fire Department, a very short walk to the town plaza, Silay North Elementary School, San Diego Church, the Puericulture Center and the commercial areas of the town. The inside of the house was not beautiful compared to other houses in Silay but it was big and had lots of places to hide in, which served us kids very well during our games of hide and seek. 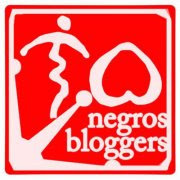 I remember that we would scare our household help witless by hiding in the big closets, powdering our faces and covering our heads with white blankets while putting a flashlight under our faces. We gave our Lola endless anxious moments as we ran around the house and jumped off the stairs and verandas. The front lawn had a bahay cubo which was also our playhouse and where I would spend many hours reading my Nancy Drew books. The house was surrounded by starapple trees which gave hundreds of fruits every year and we had so much fun trying to hook one from the upstairs balcony using an improvised "singit". But while the starapple trees were so fruitful, the lone mango tree in the front yard would yield exactly one fruit a year...while the santol tree's produce were one of the most sour tasting fruits ever...which gave my Lolo much frustration, of course. In the afternoons we would drowsily sit in the rocking chairs in the second floor sala while my Lola would have her afternoon siesta in one of the rattan lounging chairs in the upstairs balcony. This is also the place where we would have the daily Rosary before the Angelus. I have a lot of good and unforgettable memories in this house. My parents lived here for a while after they were married since my dad was still in his last year of law school. When he took the bar in Manila, they decided to stay there when he found work. It was another 3 years before we eventually returned to Silay, because my dad unbeknownst to my mom was asked by his uncle to run for politics. For a little more than a year, we lived here before moving out to have our own home. 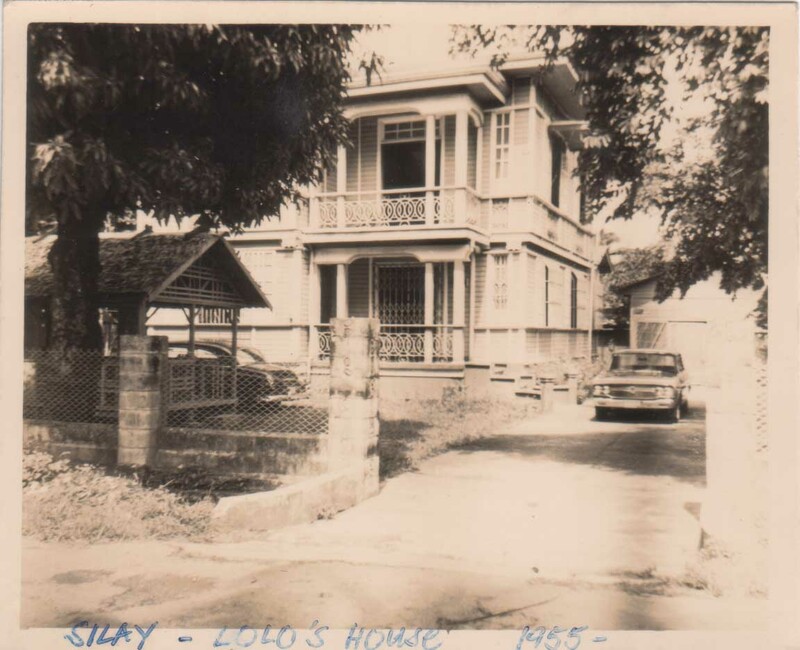 Lolo's house then became "pihak balay". 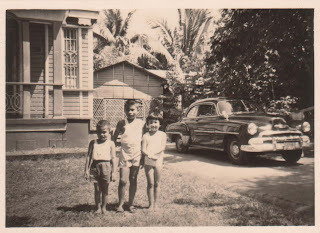 "Pihak balay" was where we would spend our weekends, holidays, summer days...it is where we all converge for Sunday breakfast...it is where all the grandchildren played and caused much ruckus to both houses in Plaridel and Cinco de Noviembre. But all good things come to an end...and in 1992, the family decided to sell the house. My Lola was staying in Manila with her daughter all the time now and the year before that, my father passed away. There was no one among us who was interested to live in such a big house. A few years back we had it rented out for a while but the tenants found it hard to maintain. Eventually we closed it and hired a family to guard and clean the house allowing them to live in the servant's extension at the back. When we offered it up for sale, it seemed that it was going to be difficult to sell it because of its size and the fact that it was a heritage house. Fortunately, one individual took interest and honestly, we sold it dirt cheap...a heritage house on a 750 square meters lot was a give-away at P375,000! The new owner with a very good business sense sold it to the city after a few years of having it rented out to foundations and families. His price? A million pesos. Be that as it may, I am happy and grateful to God's Divine Intervention, because the next buyer was the City of Silay. I was content with the fact that our ancestral home will be preserved for generations to come. 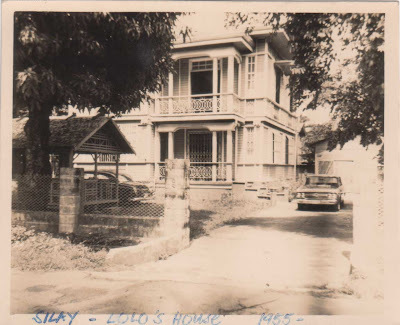 None of us could have imagined that in the future my Lolo's house would become the Office of Culture, Arts and Tourism of the City of Silay as he was totally not into those things, or at least that's what it seemed to us, his grandchildren. Then again, many of us today are into arts...one of my cousins is an accomplished painter, a few of us could hit the right notes, some great grandchildren plays good guitar, are dancers, actors, and even my late Dad was a very good piano player...so who knows? Perhaps my Lolo in another life could have been an artist too. To complete the story, soon after they bought my Lolo's house, the City also bought my late grand-aunt's dilapidated and structurally damaged wooden house at the back. However that house in Cinco de Noviembre was later torn down and has since been replaced by a new one-story building. They have also repaired and painted the perimeter fence and I heard from the Tourism Office that there is already a budget for repair and repainting of my Lolo's house. 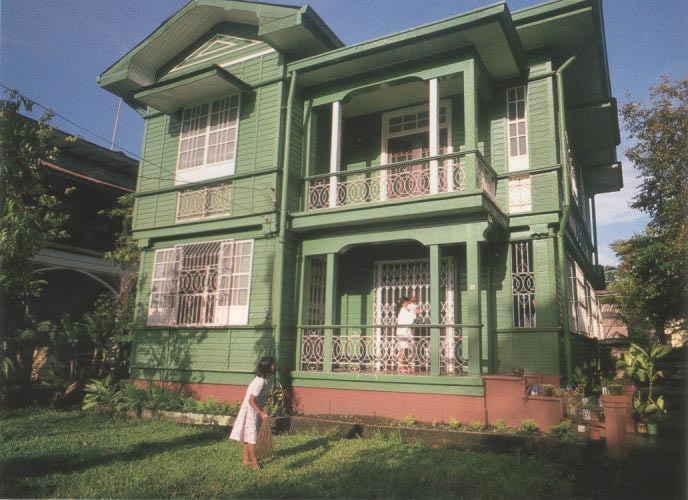 From "pihak balay" to "Balay Verde" (The Green House-Culture, Arts and Tourism Office, Silay City)...hey, not bad...I am sure Lolo, Lola, Daddy, Tito Monet must be smiling in heaven.